Emilia Romagna pears, grown in the countryside of Reggio Emilia, Ferrara, Modena, Bologna and Ravenna, offer both flavour and sweetness of the land which has invented European fruit-growing. 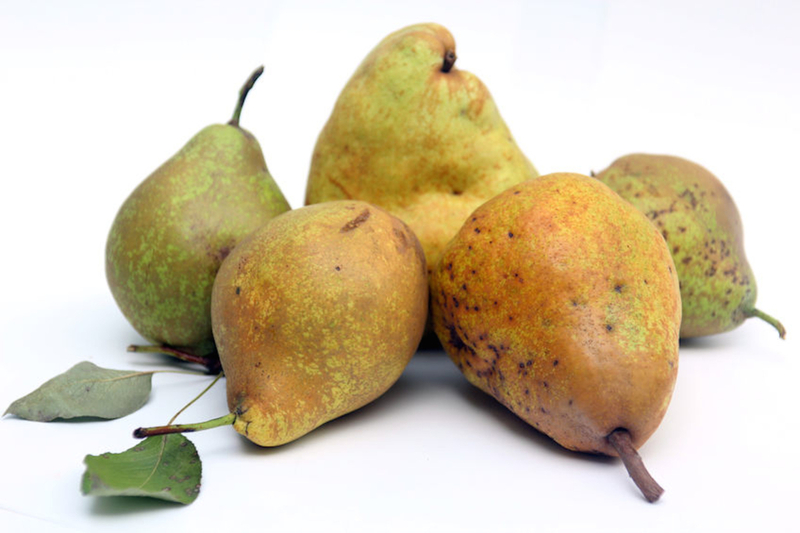 These pears are also found in other parts of the world, but in Emilia Romagna they acquire unique organoleptic characteristics. 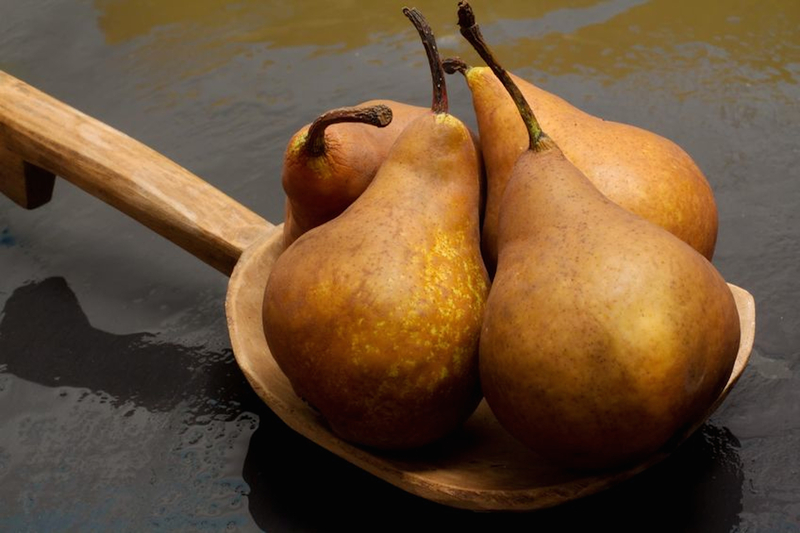 Pears have an exceptional bond with gastronomy and are good fresh as well as transformed in many recipes of the Italian culinary tradition: from juice to jams, up to the valuable combination with cheese. 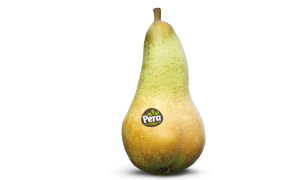 It is the ‘queen’ of pears. It was discovered and then developed in France in the eleventh century by Abbot Fetel. In Italy this variety is typical of Emilia only and it distinguishes itself for its big size, with fruits which exceed g 250. It is characterized by an elongated shape, similar to a small flask. Its skin is pleasantly smooth, with yellow rust-brown colour. Inside it is very juicy, with delicate and white pulp. It is very scented and sweet, with a sour aftertaste which makes it very pleasant. It arrived from England and in general Northern Europe to Emilia Romagna, where it gained more flavour as well as its typical rusty appearance. Its appearance is characteristic, with a rough skin, at the beginning between green and yellow colour, which becomes red bronze if it is exposed to sunlight. Its pulp is incredibly aromatic, characterized by ivory colour as well as fondant and very sweet flavour. The high juiciness it shows when ripe made it one of the most popular varieties. It comes from France and its history is almost 3 centuries long. Its yellow-green skin, with the presence of small spots, hides a white, tasty, refined, very sweet, and scented pulp. Thanks to this characteristic scent and flavour, it reminds to the tasters the sensation of a fresh sweet. It is completely rusty, characterized by a delicate burnt colour. This pear is the most suitable in cooking. This variety, too, comes from France, but it has less than a century of history. It is large and its rusty skin with yellow bronze background shows many spots. Its pulp is characterized by shades which range from white to light yellow. It is very consistent and pleasantly granular. The balance between its juiciness, sweetness, bitterness, and aromas allow pleasant combinations with cheeses, wines, cakes, and ice cream. Commonly known as the ‘William Rossa’, it arrived in Italy in 1950. Then, it spread in Emilia Romagna, where it found the most suitable land for its cultivation. Its shape reminds the ‘William’ pear, but the colour of its skin results to have a bright and captivating red carmine colour. Its flavour reminds muscat wines of Po Valley, with a strong and pronounced aroma. The pulp, white, fondant, sweet and sour at the same time, with its fine and compact texture, leaves a pleasant sweet taste in the mouth. It is the most ancient English pear, popular in Italy mainly in Emilia Romagna. It is smooth, its skin is characterized by a bright light yellow colour and slight red shades on the part of the fruit exposed to the sun. It is among the preferred pears for the production of juices and jams. Its aroma is unmistakable and very penetrating and is accompanied by a sweet and firm flavour. Its very white pulp makes it the main ingredient for fresh fruit salads, while thanks to its scent it is chosen among the other pears for producing grappa, spirits, and liqueurs. Pears of Emilia Romagna are recognizable thanks to their unmistakable mark with the blue writing ‘Emilia-Romagna’ and IGP with a typical sunset. The 6 varieties guaranteed by this mark are distributed either in cardboard trays or trays containing 4 fruits. No other concession is made in the distribution. 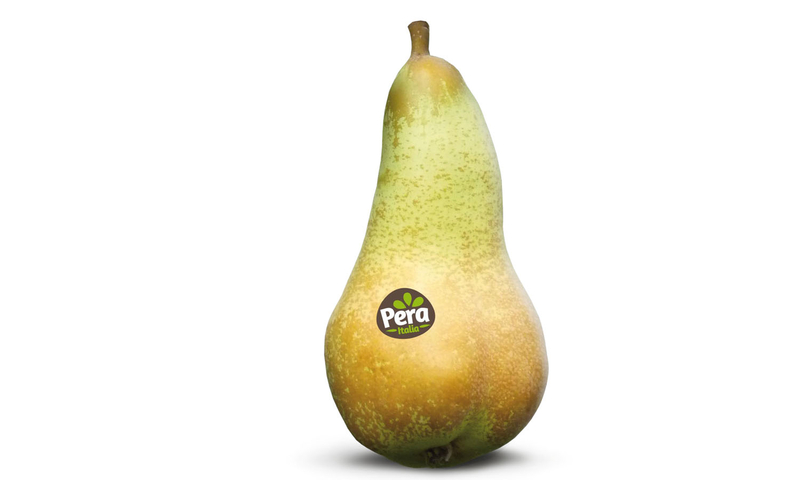 Thanks to the Consortium ‘Pera Italia’, a renewed packaging has been created for the foreign market, especially America: it proposes these pears in baskets containing 2-3-6 pieces. Emilia Romagna is the largest producer of pears in Europe. Two out of three Italian pears come from this land, which in 1998 obtained the Protected Geographical Identification acknowledgement by the European Union. The fruits marked with this IGP mark are only the ones grown with integrated production, respecting both environment and consumers’ health. In addition, they are harvested only when they have reached a good level of ripening. To consumers’ advantage, too, this mark guarantees that these fruits are marketed only when they have reached the correct sugar content. The certification is entrusted to ‘Check Fruit’, an organization accredited by the Italian Ministry of Agriculture. The amount of Italian pears destined to export is about 20% of the total production, with an increasingly growing trend. 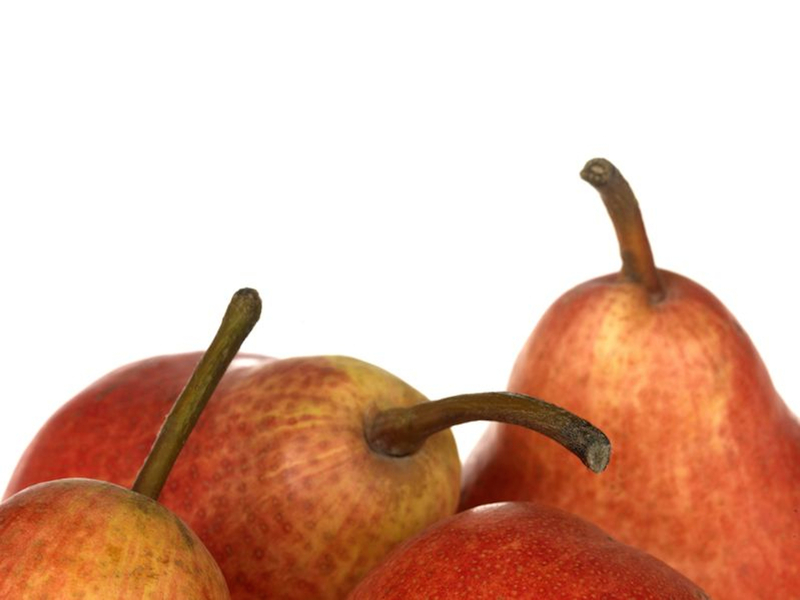 Almost 100,000 of the more than 150,000 tons of exported pears come from Emilia -Romagna. More than 90% of exports concern the European Union, especially Germany, which absorbs half of the total, followed by France (18%), United Kingdom (8%) and Austria (5%). Other minor shares of this product are destined outside EU, especially Russia, USA, Switzerland, and such Eastern European Countries as Croatia.